This bundle contains currently unavailable products. As a result, this bundle cannot be purchased. "Be Content" on CD with 8 page booklet, signed by the band. 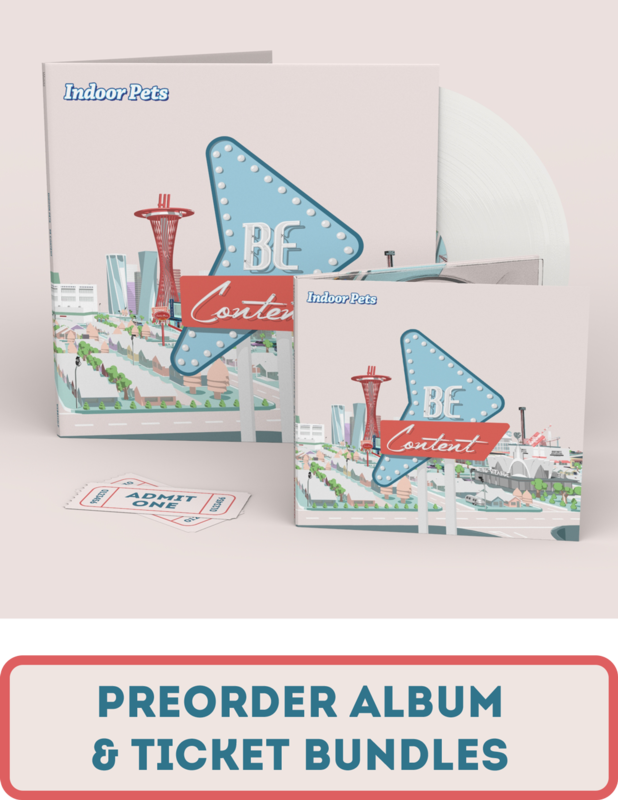 "Be Content" pressed onto limited edition white vinyl, in a gatefold LP signed by the band. "Be Content" on CD with 8 page booklet.